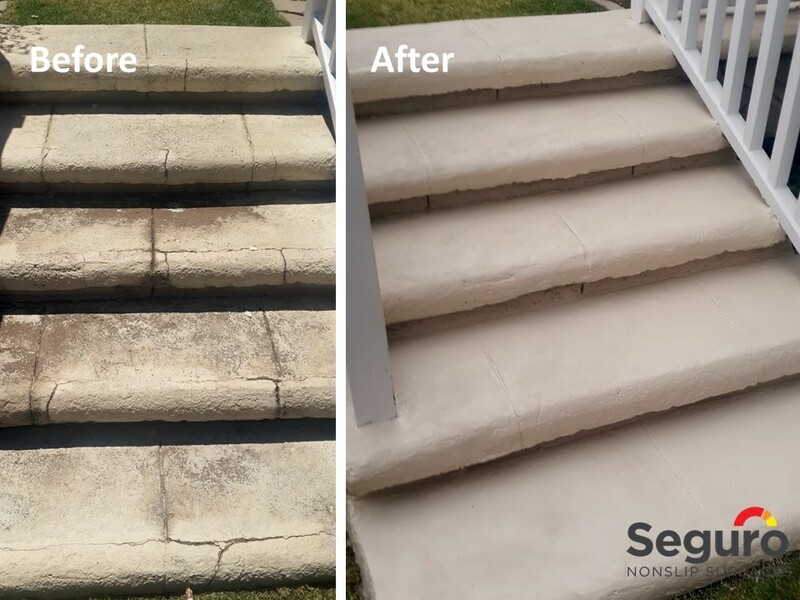 The cement steps were slippery due to the paint and wear. The surface had become smooth and mom and the kids were slipping on them even when they were dry. 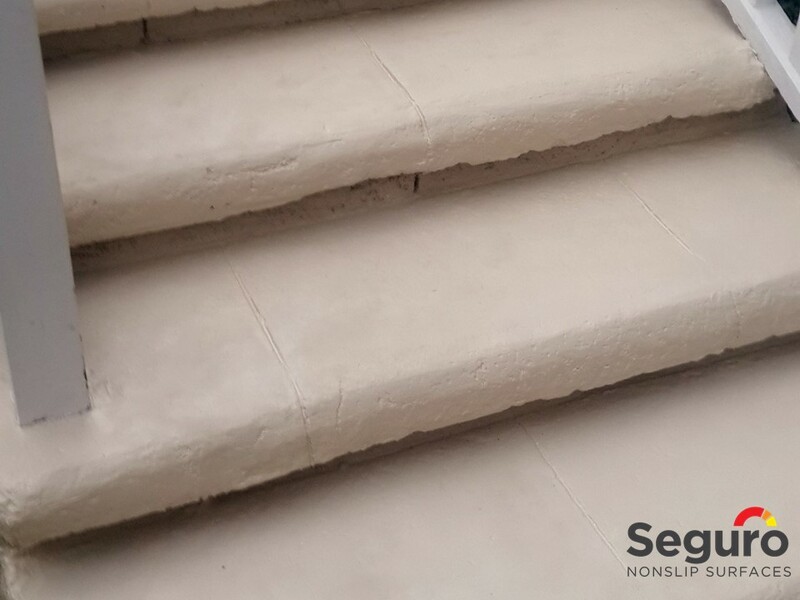 Seguro Nonslip Surfaces suggested that we remove the old paint, prime and repaint the steps with UV protected paint and aggregate to add grit to the surface. We could custom colour the paint to match the old and blend in with the adjacent wall. The outcome of the application is a slip-resistant surface that will prevent slips in wet and dry conditions.